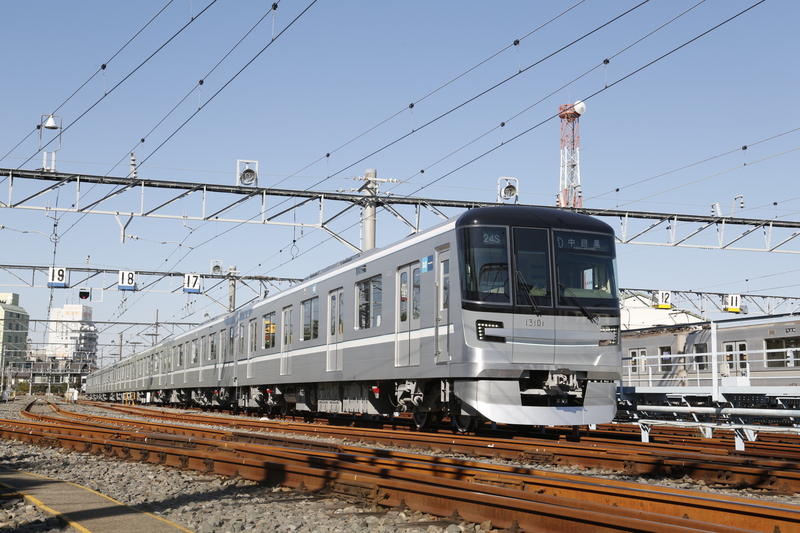 From Monday, Tokyo Metro Co. will start playing background music on 13000 series trains, one of which is seen here. The model boasts a high-tech stereo system. | TOKYO METRO CO. Starting Monday, Tokyo Metro Co. will experiment with playing background music on their trains in a bid to provide a more comfortable travel experience for passengers. 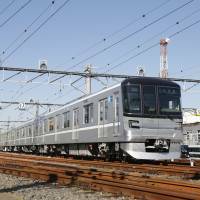 The background music will be played on the recently introduced 13000 series trains on the Hibiya Line, for a limited number of trains that run between Naka-Meguro and Kita-Senju, the subway operator said. A selection of classical music, including popular pieces such as “Clair de Lune” by Claude Debussy as well as relaxation music conducted by a composer named Mitsuhiro, will be heard on the trains. 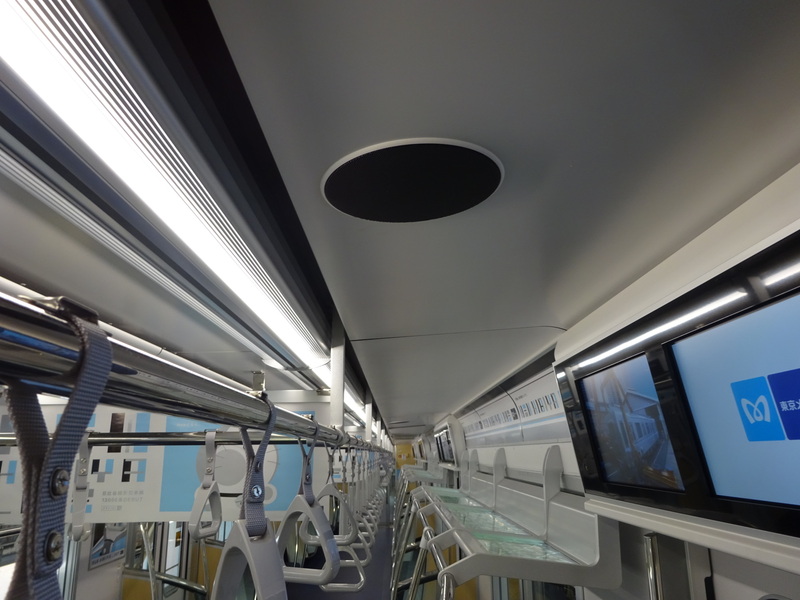 The 13000 series trains, which entered service in March last year, boast a high-quality stereo system. Although the upgraded system was initially intended for special events and automated speaker checks, a recent event sparked an idea to utilize the speakers on regular train services as well, a Tokyo Metro official said. “A train conductor played some classical music (which is usually used for speaker checks) by accident during a regular train service. It was an accident, but was picked up on social media and we got a lot of feedback saying that customers enjoyed and were soothed by the unexpected music,” said spokesman Takahiro Yamaguchi. Given the positive feedback on social networking sites, the subway operator decided to test a few trains with background music to see what the reaction might be. 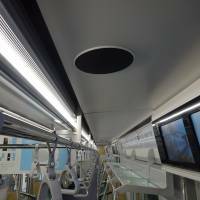 The music was chosen on the basis that it would be relaxing for the passengers, and there is no designated date for when the background music will stop. Tokyo Metro will decide what to do once they see the overall reaction from passengers, Yamaguchi added. According to the company’s website, this is the first time a Japanese railway company has attempted to play music on their trains. Shozo Shibuya, a professor emeritus at Mejiro University who published a book on the psychology of people on trains, said that there are multiple facets to be considered in relation to the concept. “Music is a galvanizing force, and it may give a sense of unity to the passengers on the train — like they are sharing an experience.” But, he continued, music is reflective of the individual’s mental state and serves as a way for the individual to create their own personal space in a place that is public like a train. Playing music in a public space like a train where there are a number of people in different emotional states may cause stress for some, he added.